The Wishing Well Inc. foundation continues its commitment to support the ‘Breakfast Programme’ at the Irene B. Williams (I.B.W.) Secondary School. This month’s donation will allow for over 100 students, who attend school without proper nourishment, to be provided with breakfast to start their day off on a good note. 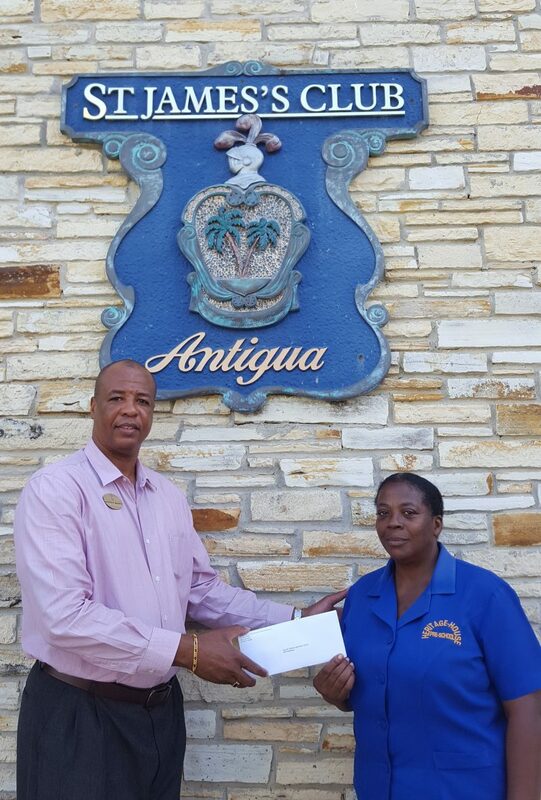 Mr. Antoine Brown of the St. James’s Club Antigua represented Wishing Well Inc. while handing over the donation to Mrs. Barbara Gordon of the I.B.W. Secondary School. “This donation will reach the heart of the students. We very much appreciate this 3rd consecutive donation. The benefits of a hot meal are evident in the students and they look forward to a healthy meal.” – Mrs. Barbara Gordon, President P.T.A.